Paul Colangelo is President & COO of LS&S responsible for leading the operations and growth of the company. Prior, Mr. Colangelo was President of Appriss’ and was responsible for the strategic direction of the business. Mr. Colangelo has been at Appriss for over 4 years where he was a major visionary and driver for diversifying the portfolio’s revenue and 20+% YOY top/bottom line growth. Just recently, partners along side the CEO to lead a successful exit transaction by transitioning ownership from Bain Capital to Insight Venture Partners. Before joining Appriss, Mr. Colangelo was vice president of Convergys Global Business Unit, a $2.5B global leader in relationship management where he was responsible for the satisfaction, relationship management and overall success of his client services programs in the government, automotive and transportation markets with revenues of $300M. 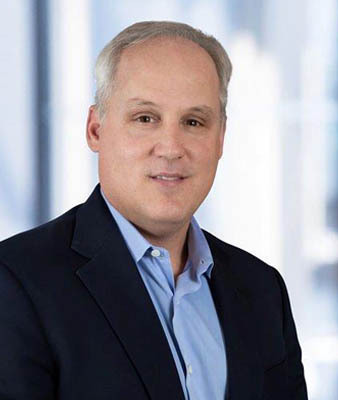 Over the past 20 years, Mr. Colangelo has worked in various executive leadership roles for LexisNexis and ChoicePoint, focused on the identity and data analytics markets and known by his clients and partners as a real thought leader and innovator in the market. Mr. Colangelo earned his bachelor’s degree from Seton Hall University and his MBA from Strayer University. He also participates on the National Center for Missing & Exploited Children Law Enforcement Advisory Board, Blessings in a Backpack National Board, Netwisedata Board & Smartsports Advisory Board. He has also served in other board capacities throughout his career. Mr. Colangelo and his wife, Christina, reside in Virginia, with their sons Christian, Paul IV, Domenic and daughter Jenna and Sophia.